It’s simple, we love our troops and hate cavities. 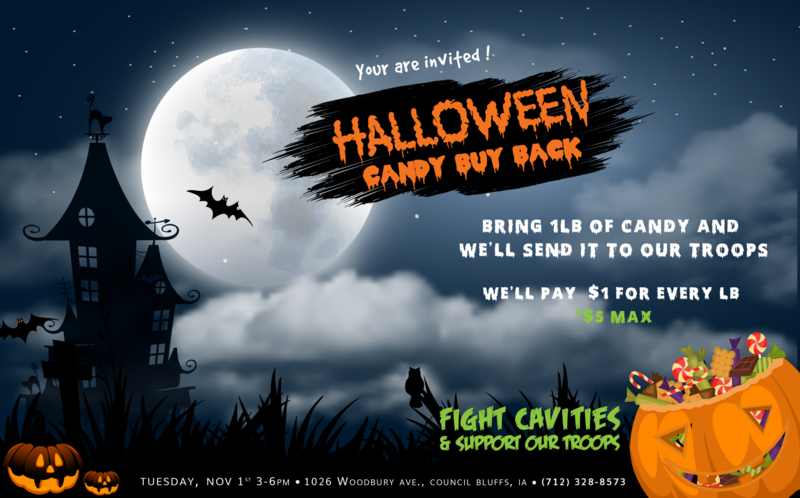 Come join us for a fun-filled Halloween event where you can earn cash while supporting our troops. Just bring your excess Halloween candy to Omni Dental and we’ll pay you $1 for every pound you bring in, limited to $5 per child. Too much candy can be ghoulish on your children’s teeth and the Team at Omni Dental wants to take this time of year to remind everyone about the importance of dental care. More importantly, we want to send our love to the frontlines. Candy will be collected on Tuesday, November 1st, 2016 at our Council Bluffs office from 3pm to 6 pm. The candy will then be shipped to troops overseas. Each child is eligible to receive $1 per pound up to five (5) pounds for all unopened, uneaten candy. We will provide paper and writing utensils for anyone that would like to create a letter to include for our service members. “Kids can still have all the fun of trick-or-treating, and now their piggy banks will benefit as well. The Omni Dental team chose to participate in the Halloween Candy Buy Back to help parents that want to limit the amount of damage that can be done to their children’s teeth while giving back to the troops. We want to encourage and teach preventive care to help children steer clear of restorative care,” says Dr. David Jones of Omni Dental. Global sugar consumption for kid’s increases by about 2% annually and currently sits at 50 million tons per year, which means parents need to be sure their kids teeth are being cared for more than ever. Candy, as well as hurt children’s teeth, can lead to hyperactivity and weight gain. In some cases, the wrong types of candy can also lead to broken and damaged teeth. Omni Dental works hard to raise awareness of the benefits of healthy eating and great dental hygiene. 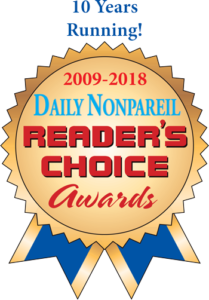 For more information, please contact Omni Dental at 712-328-8573.